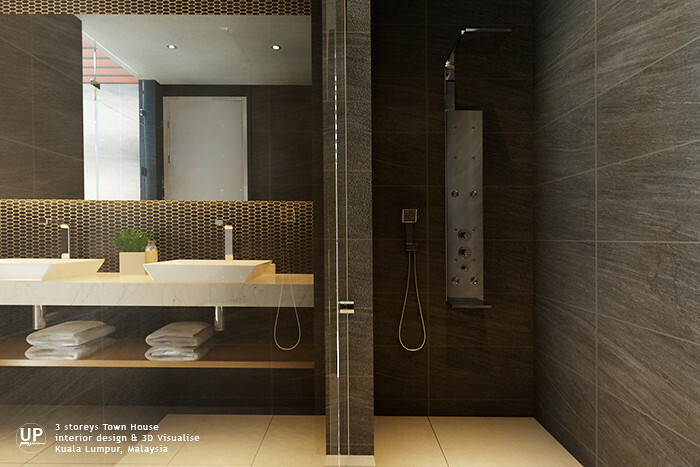 A modern minimalist bathroom in a color scheme of black and white. 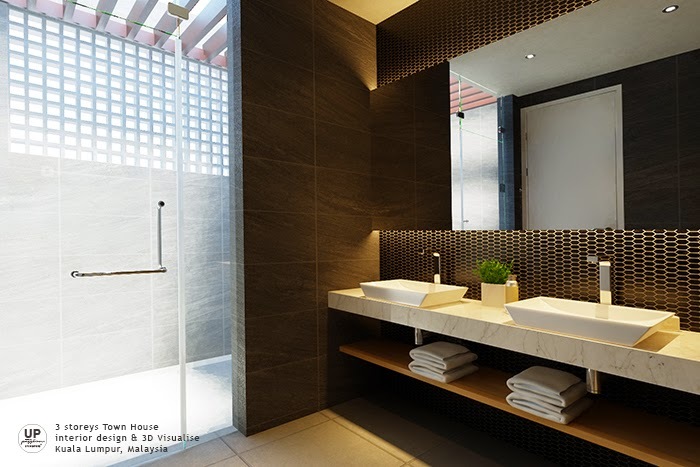 With a highlight hexagon shape of wall tiles and cove-light for the basin and mirror area. Vanity top in a marble slab with just an open shelf underneath that required from the young professional couple, represent a simple yet stylish modern lifestyle.